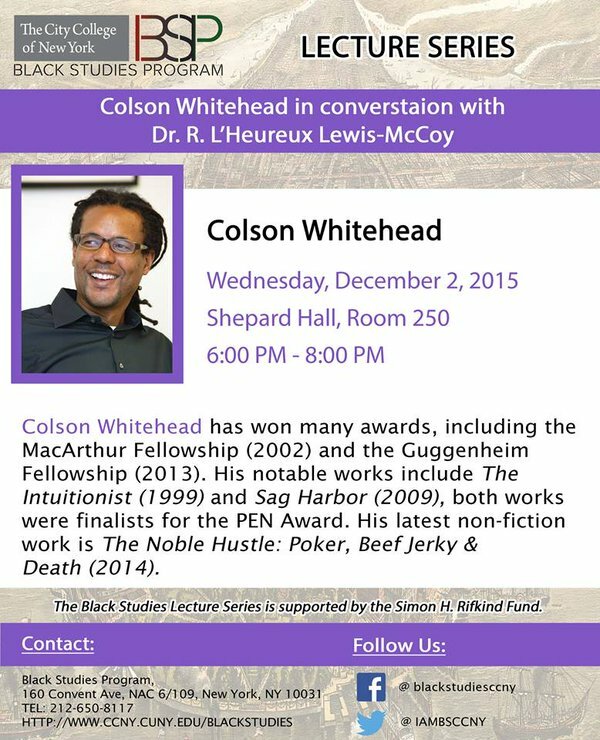 This Wednesday, December 2nd, I will be in conversation with the prolific author Colson Whitehead. It’s going to be a special conversation that is sponsored by CCNY’s Black Studies Program. The talk is free and open to the public, but please RSVP here. I’m looking forward to seeing you there. Help with the earthquake relief effort in Haiti by donating to AmeriCares. Click the banner for more information. UptownNotes is written by Dr. L'Heureux Dumi Lewis-McCoy. To Learn more about my writing, speaking and research please visit professorlewismccoy.com. Uptown Notes by R. L'Heureux Lewis-McCoy - Dumi Eyi di yiye is licensed under a Creative Commons Attribution-Noncommercial-Share Alike 3.0 United States License.